Here is, I guarantee you, the best pork chop you will ever taste. 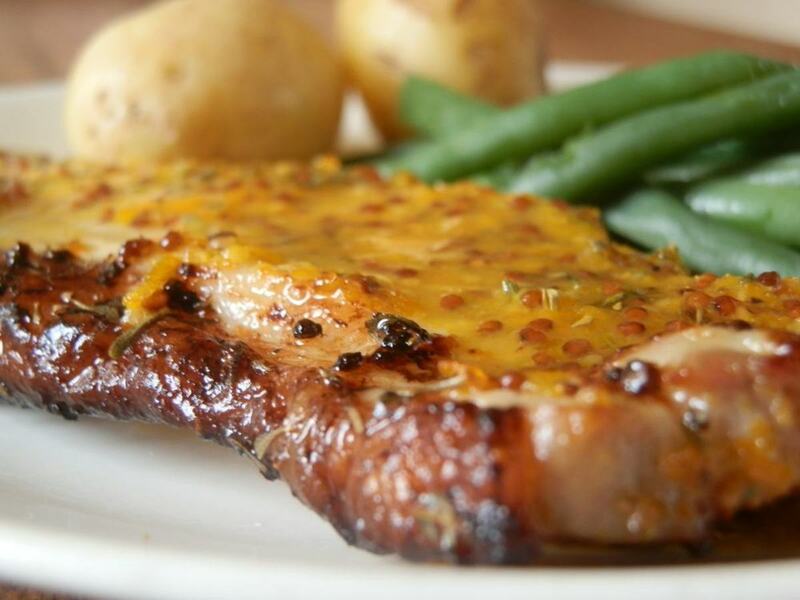 If you like this recipe, spread the word about these wonderful pork chops. One thing I go for when cooking is lots of flavor. You want to use a package of dry Italian seasoning and purchase fresh grated Parmesan cheese from the deli section of your supermarket. Or purchase a small piece of Parmesan cheese and grate it yourself. Use large loin-cut pork chops for the best flavor. You will want a large baking pan with a rack, and I would suggest that you line it with tinfoil for ease of clean up. 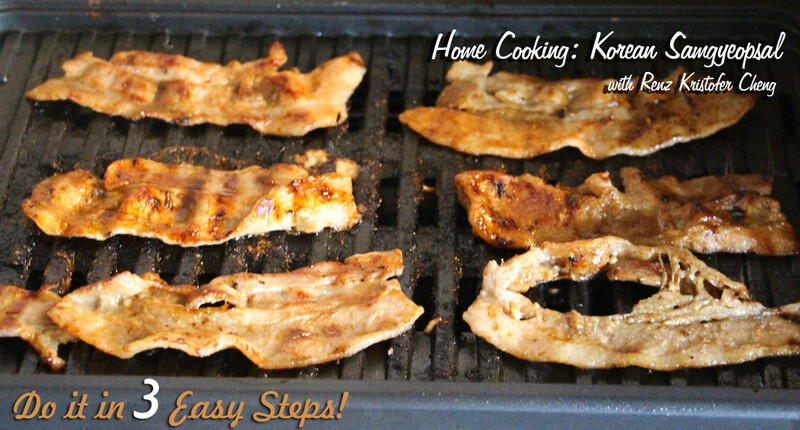 A grilling pan like this will produce pork chops that are never soggy. Your pork chops need to be up out of the juices. You will want to put the first four ingredients in a large bowl and mix very well. Now pour a layer of ranch dressing onto a plate; add more dressing as needed while you prepare the chops. Take one pork chop at a time, drop it on the plate, and turn it to coat it with ranch dressing. Hold it over the plate a few seconds to let excess dressing drip off, and then put the wet pork chop into the large bowl with the bread crumbs and coat it well on all sides. Have your tin-foil-lined baking pan with its rack sitting there ready. 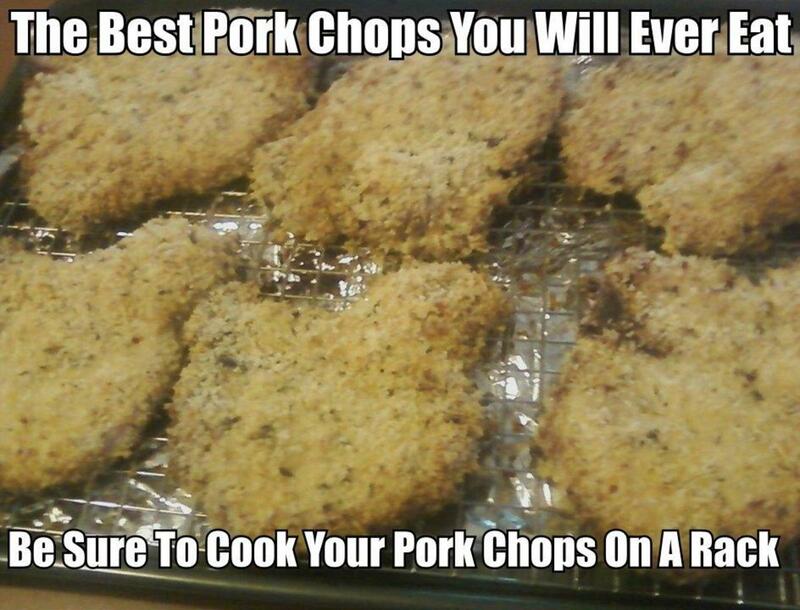 Place your breaded pork chops onto the rack. Once you have all your pork chops on the pan, place it in the oven and bake for 45 minutes, or until the thick part of the chops reaches an internal temperature of 160 degrees. As soon as the chops are done, remove from the pan and serve as soon as possible. And I really believe that once you taste these pork chops you will agree that they are truly the best pork chops you will ever eat. 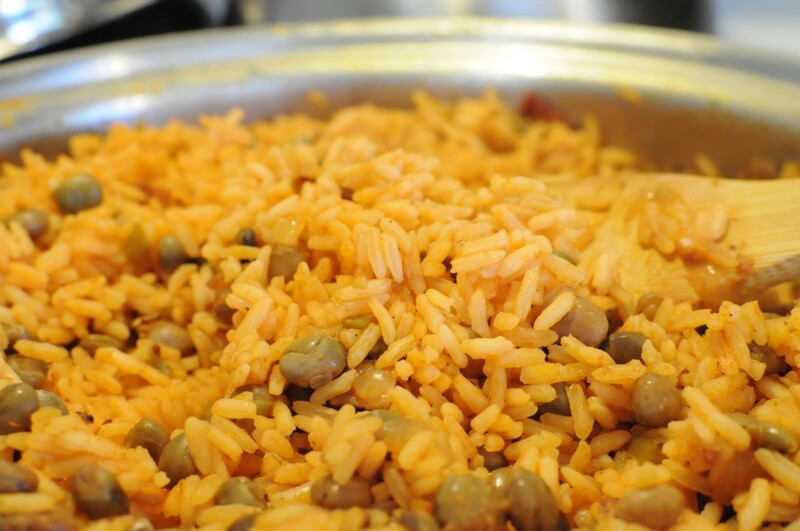 If you make this recipe please post a comment and let us all know how it turned out for you. People keep asking how can they make pork chops that aren't soggy on one side. 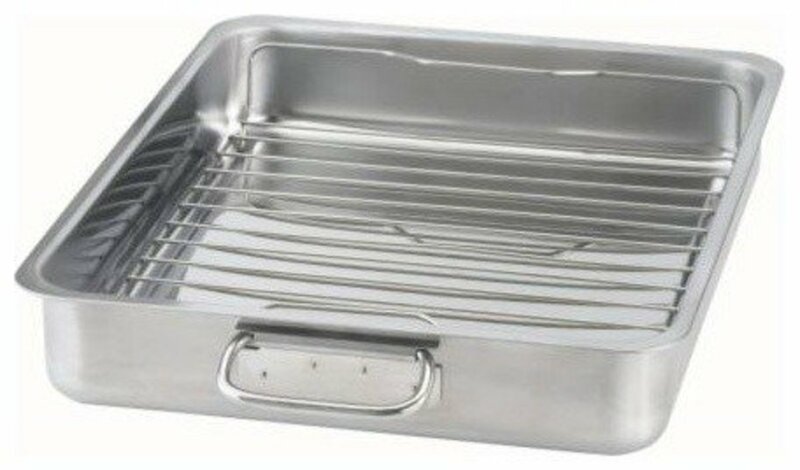 First of all you need to use a pan with a rack in it like in the photo above. Your pork chops need to be kept up out of the juices. If you try to lay them on tin foil on a pan they will be soggy. Also, I've been experimenting with the recipe, and I can tell you that you need to shake the excess ranch dressing off before you bread them. I got three batches to come out perfectly crisp doing it this way. That, and the rack in the baking pan, will make perfect crisp pork chops. I have been cooking my perfect chops at 400 degrees. Do keep an eye on your pork chops, especially at this higher temperature. The recipe above may leave you with more breading than you can use. If you don't use it, discard it. It's tasty, but since it's been around raw meat, bacteria might grow in it. If you find you don't need that much breading, cut it down some so you won't have as much left over. Delicious!! My whole family loved them and that’s not easy to accomplish. Thanks!! I made these tonight and coated them with crushed pork rinds as I’m doing Keto and they were wonderful! Even my non-keto eating family really liked them. These were absolutely awful! Stick to the old fashioned way of breading things...flour, eggs, breadcrumbs. The breading fell off, they were mushy, and I threw them in the garbage! Don't waste your time and money making these. We love these chops. They are the only ones I make anymore, thanks for sharing! Worst pork chops ever. Made recipe exactly as written. I don't waste food or we wouldn't have eaten them. Made exactly as written and they were delish! Crispy but mushy closest to the meat • but still good and tasty. Thanks for sharing. Unbelievably delicious! Making them again tonight for the fourth or fifth time. Without a doubt, the best pork chops I've ever eaten. Thank you so much for the recipe! Im making thesebfoe dinner tonight, and already everyone in the house is asking whats smells so food and cant wait for dinner. If they tast as good as they smell dinner is going to be really good. Looks great ! I must try this recipe! They are truly the best pork chops you will ever eat. Wonderful flavor. I am making these now. They smell soo good! I'll let you know how they were! Delicious! Made two weeks ago and family raved. Husband usually turns his nose up when I cook pork, but actually requested that I make these again! I haven't had freshly grated parmesan either time, but used the bottled sort and they are STILL great. Turning them midway through cooking has not turned out so well, as the crust tends to fall off. Mine haven't been soggy, but not really crispy either. Regardless...they are well worth adding to your favorite recipes! They were the best pork chops I ever ate! I used thick pork loin chops, so I marinated them for two hours in ranch dressing, dipped them in the bread crumb mixture and baked them on a rack at 400 degrees. I covered them with foil for the first 30 minutes. Delicious and crispy! I just made these. 3 2inch pork loin chops 2cups of regular seasoned bread crumbs, the italian seasoning packet, and halfed the parmesan and garlic powder. I put it directly on the oven rack and cooked for 25 mins. PERFECTO! Made these & they are definitely fantastic!! I did make one change tho, the whole pkg of italian dressing part sounded a little too strong for our tastes (and I didn't have the dry mix on hand anyway) so I mixed 1 cup ranch with 1/4 cup of the regular italian dressing. Was perfectly seasoned for us! 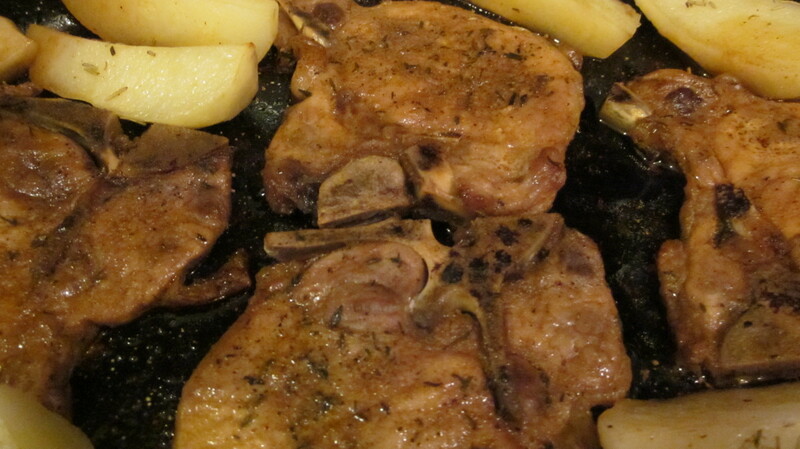 Hubby raved about them & the 2 left over chops disappeared by morning! lol I will definitely be making these over & over again! Thank you for sharing this recipe! Loved this recipe. We love pepper so I added it into the mixture. Made these for Easter dinner. They were a big hit. Even though we cooked them on a rack, most all of the breading fell off in the pan below. Still a great taste and will have them again! Anyway, I found that that is PLENTY of breading for 6 normal sized chops! 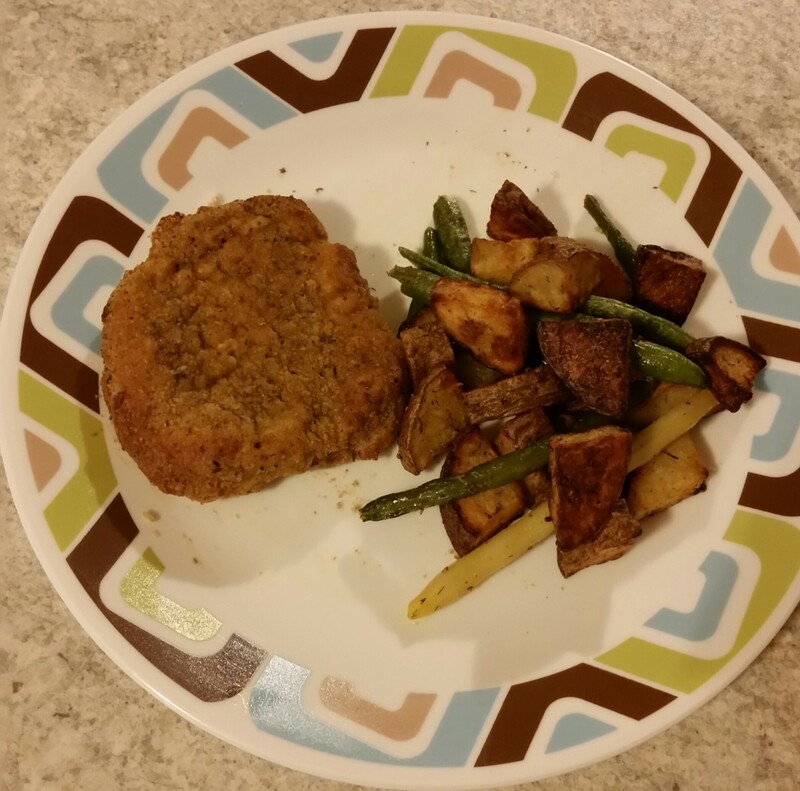 These were some of the best pork chops I have ever had/made and they were so easy to put together! They tasted so good and had a nice crunch, but were still juicy on the inside! Everyone loved these and asked for the recipe! Don't know why some peoples are soggy. Mine never are. Did you cook them at the right temp. I made this tonight with two large chicken breasts. I didn't measure anything, just eyeballed what I needed and tasted as I went. Any leftover breadcrumbs I piled on top. I cooked at 350 for about 35 minutes. This was fantastic! BF loved the drippings. The bottom was a little soggy, but it was nice to run the plain chicken pieces through. The ranch dressing (light, btw) seemed to have kept the juices in the chicken and made it very moist. Thank you! I tried this recipe using turkey breast filets. Turned out yummy! They were a little soggy on the bottom. I might try using a rack next time. Making these tonight. I am using boneless chops since that's what I have in the fridge. My husband isn't a big fan of pork chops, but I think these look delicious! I'll be back later to let you know what everyone thinks! These are the most delish and my husband, kids and I all loved them! I found the recipe on Pinterest! Thank you! Tonight is the second time we are having them! Very moist and tasty! I used only one cup of crumbs for 4 LARGE chops, and cut the other ingredients in half roughly. I did flip them and put in the broiler for a few minutes to crisp up the bottom, even on a rack they were not as crispy. I will be making these again for sure! I made this recipe last night, and my husband and I agree these are the best ever! I used thin cut pork chops on a cookie cooling rack on a cookie sheet and cooked for about thirty minutes. Didn't have a rack but improvised with cookie cooling rack over a cookie sheet. I use sirloin chops and cooked at 400 degrees for 35 mins. Super flavor and very tender! Made these a while back for my fiancé and I. He hates ranch dressing but he tried them anyway. He absolutely LOVED these so much that we are having them again tonight for dinner! Hi! I didn't have a rack so I just cooked three pork chops in a glass baking dish for 33 min at 400° and then for 5 min. on. broil. They were really good and actually pretty crispy on top! CaptainK, thanks sooooo much for the idea of freezing the leftover breadcrumb mixture! What a fantastic idea! These are officially toddler, and husband, approved! Of course, neither of them is particularly picky eaters but they are both VERY opinionated when it comes to flavor! I agree with everyone on not needing all the breadcrumbs though!!! I only used a cup of crumbs, half the garlic powder and left the rest the same. They were REALLY good...and surprisingly moist! They are truly some of the best pork chops you'll ever eat in your life. Your very welcome. Thanks everyone for the comments. They are delicious. As is either chicken thighs or chicken breasts cooked this way. I'm making these tonight, i'm sorry for many of the silly comments.people need to slow down and READ. Thank you chef Thomas! I have tried several of Chef Thomas' recipes and I have to say this is one of the best recipes for pork chops ever. He gives clear instructions and if you'll follow them you can make these wonderful pork chops to. They have to be cooked at 400 degrees and they have to be cooked on a rack. I see people have problems and they wouldn't if they would slow down and read carefully. This is truly one of the best recipes for pork chops ever. For those of you who don't know Chef Thomas was a famous Chef in the late 1990s in Miami. He is one of the best Chefs ever. If you will follow the instructions they cook perfect and crisp every time. I will deffinetly use A lot less breadcrumbs next time, bake at 400 degrees after browing them 1st in EVOO. Great flavor but still a bit soggy after putting them under the broiler. Made this tonight with chicken...yummy! I used reduced fat ranch dressing and it was a bit dry, next time I will use regular ranch. I made on a grill pan and filled once and it was good and crisp! Will make again!!! The flavour of these chops was delicious, but as a number of other people have posted, they turned out soggy. I followed the recipe exactly & used a rack in the pan, even turning them after 20 minutes. Turned on the broiler for a few minutes at the end & that helped crisp them somewhat. Will have to do some tweaking, but would definitely still try this again!! Mine were great because the meat was really good and I cooked them just right. I thought 400 was too high. I made 1/2 the crumbs and seasoning, but would do no more than 1/3 again. Mine were not crispy at all, so would use Panko crumbs. Just ate these for dinner and everyone liked them, even my semi-picky girls. Used the rack idea and it worked pretty well - still not AS CRISP as the top, but my cook time was only 25-30 minutes. I'm sure if it cooked longer it would have been crispy. Definitely adding this to my recipes :) Thanks so much for the rack idea, too --- I never would have thought to do that! The rack will produce the best non soggy pork chops. You can do it with tinfoil but it is harder. In the directions you say to put the chops on a tin foil lined pan, but in other spots, you say to put the chops on a rack for non-soggy chops. I'm guessing it's the cook's choice/decision? Foil for soggy, Rack for not soggy?? Delicious. Cooked 30 minutes at 400 on a rack and they were near perfection. I made these last night and they were very good. I only used 4 chops too, so I had way too many bread crumbs. I wish I had thought to save some for next time, but I didn't. I think this mixture would be great on chicken too. I may try that soon :) Thanks for a great recipe! It says 400 degrees in many places. I changed the temperature to 400 degrees after some experimentation here in my own kitchen. No the tin foil was to line pan for ease of clean up. Do not cover them. Do you cover the pan with foil or leave them uncovered? You should never cook these pork chops on foil. They must be cooked on a rack raised up in a pan. We raised the temp to get rd of the sogginess some people experienced. Go with the higher temp but keep a eye on them. The top of the receipe says preheat to 400, then later on in the comment section, it says 350. Which one do you use? I made this recipe last night except I used small boneless chicken breasts! FABULOUS!! They were so moist and tender and great tasting! Thanks! Sorry but I keep posting don't put your meat into but a few of the bread crumbs at a time. Don't wet all your bread crumbs until you know how many you really need. Use half and if you need more add more. There is no reason to waste your bread crumbs just use common sense. you only need one cup of bread crumbs... I threw out 2 cups, and I hate wasting food,especially bread crumbs, cuz they are so expensive! You should only use a small amount of breading at a time so you won't have breading left over. Never reuse breading later if it has come into contact with meat of any type. So be sure to only use a little breading at a time. OMG these truly are the best, most moist pork chops I have EVER eaten. Sooo yummy and my family loved them as well..
after dredging in ranch & bread crumbs, i browned the chops in olive oil slightly before baking. they did not come out soggy. Maria I'm really glad you and your husband enjoyed them. THE best pork chops we have eaten. My husband loved them. I was a skeptic until I made these TENDER pork chops tonight!! I'm sold! I will make these always! THANK YOU FOR THE FANTASTIC, EASY RECIPE!! They are really the best pork chops you will ever eat. I also cook skinless boneless chicken thighs this way and they turn out wonderful. I made these tonight, total success!! Everyone loved them! I always make my "breading" in a bowl and then spoon out a bit at a time into a plate or wherever I am breading the meat... that way, my breading stays clean and I can even store it in a ziploc in the pantry (and I use a sharpie to write what is in the breading on the bag) - saved us lots! Our family prefers a grilled chop, but our favourite "go to" breaded baked chop will be this from now on in. Great taste, so moist, and easy to make. Thank you so much for a great chop !! Wonderful....I overcooked a littlle. Next time I will cook covered for 40 min then broil a minute. Served with steamed cabbage and baked sweet potato. It w delicious. Turning the chops 2/3 through the bake time will cut down on soggy bottoms. 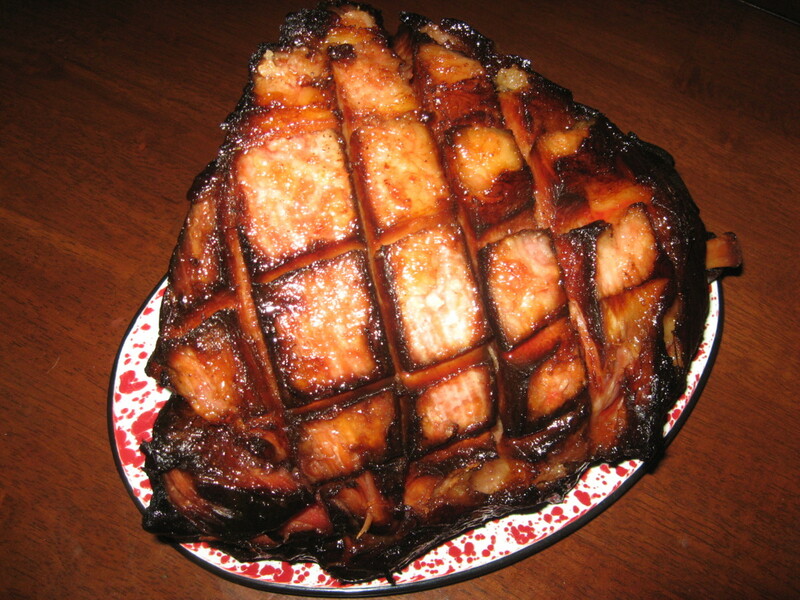 Pork contains considerable fat and gravity pulls that down, soaking the crumbs. Turning will also make chops moister as the the juices baste the meat from the center as they cook. I turn meat often on the grill also for this purpose. It isn't advised for frying however, as the breading will be dislodged. Bacon also cooks softer without as much curl if it is turned often. 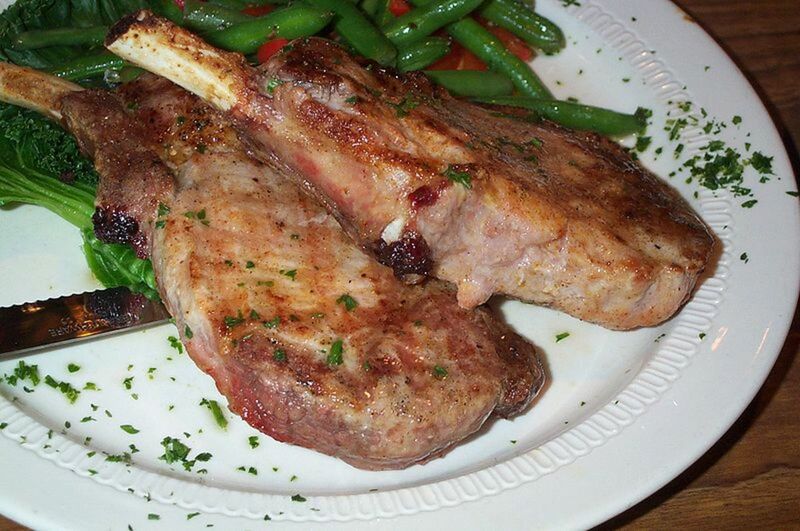 I tried these chops and got rave reviews for them. I didn't have Italian dressing around, so I left that out of the recipe. It still had enough seasoning. 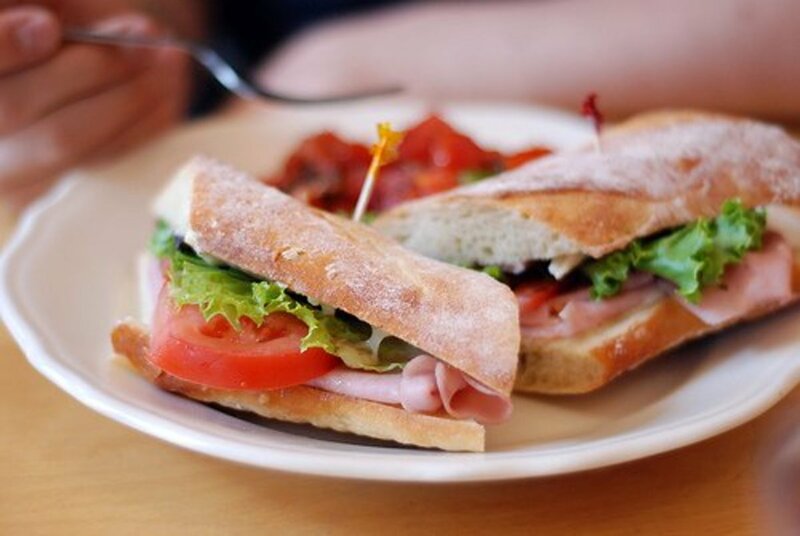 Always dry meat with a paper towel before breading as the surface moisture has a high fat content and will prevent breading from adhering when it cooks away. Use an accurate meat thermometer instead of depending entirely on stated cook times. Ovens vary widely unless they are calibrated, which most don't bother with. It's easy though, and your stove's manual should have directions. I made them tonight they turned out good, I didn't have ranch seasoning so I used my epicure spice 3 onion and I added fresh garlic to the ranch dressing. Thanks for the added info about the wire rack because I made a different version of these and they were soggy but not this batch. Yummy! Oh my cow, whoever said to save and reuse the breadcrumbs PLEASE stop cooking until you take a sanitation class, and for the love of God stop giving out advice! Pork is one of the most dangerous meats, it can make you incredibly sick if it contaminates other food. Made them last night and they are now my favorite pork chop recipe. Easy to make and the recipe is easy to remember. Thank you for posting! I made these last night they we a hit my hubby and my two kids ages 5&3 ate everything! This is my new recipe no more shake n bake thanks for sharing!! OK - I used 2 butterfly pork chops & cut everything in half. Had some left over but not enough that it had me thinking it was a lot left over...I put a cooling rackside of my dark bar pan with a piece of foil under to help with clean up. They were soggy on bottom & the top wasn't browning and the crumbs were still dry. I'm not sure if I did something wrong, I reread the recipe several times but couldn't figure anything I'd done wrong. We turned them over & stuck them back in at 400 then turned it to broil. The flavor was very good adn my husband and I both ate ours. Our VERY PICKY (doesn't ASK to try anything) 6 year old even asked to try a bite. He said he liked it, but then that he didn't care for anymore. Ended up asking for a 2nd bite though. He actually ate it though & didn't spit out that first bite so that was impressive to me! I will definitely make again, but would love to know if there is something I did wrong for it to come out not browned & with the crumbs still dry on top but soggy on bottom? These are so incredibly tasty! Thanks for the recipe! I did 4 (1 and 1/2 inch) boneless chops with half the breadcrumb recipe. Used a rack and had no sogginess whatsoever. For those worried about extra breadcrumbs you can make the recipe as is and then dump 1/3 or 1/2 of the crumb mix into a bowl for breading and reserve the rest in the original bowl. If you need more crumbs as you go just dump some from the original bowl into the breading bowl. Freeze the ones in the original bowl that never touched the pork and you are ready to make your next batch! I made these tonight and parts of them came out crispy and some parts not so crispy, but that's because of the ranch dressing. But OMG, these were killer good and definitely another keeper for the recipe box. Made these tonight!!! They were wonderful!!! I will be having these again!!! Made these tonight and the flavor was fabulous. Very quick and easy to make. My only disappointment was despite following all directions they were soggy, not crispy. But they were yummy! I am making them now!! We'll let you know. I am baking at 400 degrees....don't want them soggy and I did have a lot of breading left so I bagged it and put it in the freezer. I have 8 super thick boneless pork chops and live at a higher elevation, so I may cook them 60 min. I will check in a half hour and see how they are doing. They are on a baking sheet sitting on cooling racks. I'll let you know. I made these to rave reviews! My suggestions for thick chops: marinate chops in Ranch Dsg. for a few hours in the frig. Bake at 350 for 40 minutes, then at 325 for 20 minutes.